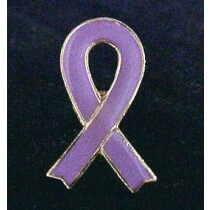 Purple ribbon and themed lapel pins are ideal for Rett Syndrome Awareness Month or any awareness event to promote and show your support. Many styles, shapes and sizes. Group fund raising discounts available. Custom designs available. October is Rett Syndrome awareness month.